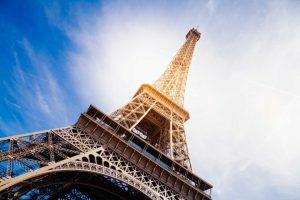 France has always been a buzzing vacationer destination, annually welcoming 82 million people from all parts of the world. The natural landscapes here are truly stunning, will leave you awestruck with their mystical charm. But, holidaying in France has more to it; it’s about getting close to the rich & diverse French history, the empires and republics, rise & fall tales to be discovered. The ages-old architecture buildings magnetize foreign travelers to France. Couple the delicacy of nature with scrumptious food, vacationers return home with joyful recollections for life. If you are a wine lover, then French range of wine is exquisite. Above all, there are 44 UNESCO heritage sites in THIS European country. So, on the whole, France is a complete holiday package with so much to be discovered. So, what’s holding you back, is it the lack of knowledge on the best places to visit in France delaying your vacation plans? Don’t worry, we are going to bail you out from this situation, by highlighting the twenty places you must visit on your tour to France. So, walk down and jot them down in your bucket list. At 324meter high, this 19th-century tower is unarguably one among the most famous places in Paris. Known as the symbol of Paris, it was designed & developed by Gustave Eiffel, and was opened for public in 1889 at a World Fair organized in Paris. With approx 8,000 metallic parts exhausted in building it, the Eiffel Tower is a man-made wonder on Earth, in fact, the economy of Paris is revolved around the tourism pouring-in to have even a glance of the tower. Usually, the visitors get bewildered by the gigantic structure and the breathtaking views from the third level; it is something to be found nowhere. On a clear sunday, you can have the full view of the Paris city from the level of 2760 meter. The Louvre Museum is one of the top-rated things to see in France, and why not, this place ages back served as royal dwelling to the kings of France. Today, this place is home to finest art stuff, comprising Mona Lisa by Leonardo DaVinci, 1st-century-BC Venus de Milo sculpture, and Wedding Feast at Cana. Palace of Versailles is a must visit to learn the long-established French history, the monarchy of this European country. At this place you have a lot to see, notably, the Marie-Antoinette’s Hamlet where queen used to dress up, the Hall of Mirrors where the courtiers used to wait for the King’s arrival. The Côte d’Azur is a tourist spot synonymous to glamour, the blue-colored water coastline beauty present the best camera capturing moments you can’t miss. Traveling through this valley is like reliving your childhood fantasy, bed-time tales will come to life here. The castles, the river valleys and the turreted towers create a magical ambiance of fairytales. The Cathédrale Notre-Dame De Chartres is a UNESCO recognized heritage site that glorifies the magnificence of the medieval Gothic architecture. Chartres Cathedral is a place for the faithful, those believing in destiny. The most beautiful villages of France are situated on the Alsace hills. The Alsace Villages over the decades have won numerous global awards for their striking floral settings and decorations. Situated on the Northern Eastern coast of France, Brittany has a big reference into the many history books. It is a place magnetizing for its rugged seaside setting, the weathered seaports to go with the fishing villages. Biarritz is a sparkling colorful beach town that promises a lot in terms of fun and excitement. It is an all-age group tourist-spot that once was one amongst the favorite places for Empress Eugénie, wife of Napoleon III. The Rocamadour is a sacred place which brings heaven to earth like no other place on this planet. During the 11th century, it was third on the list of important holy places of Christianity. For all the history buffs out there, Reims & Champagne Tasting is rated amongst the most popular champagne tours from Paris. It is a UNESCO heritage site as here many French kings are crowned. 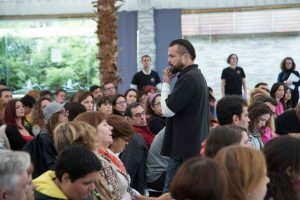 The tour let you understand every inch about the traditional wine-making process, and not to forget the multi-course food. This is one of the most incredibly, charming places in France. 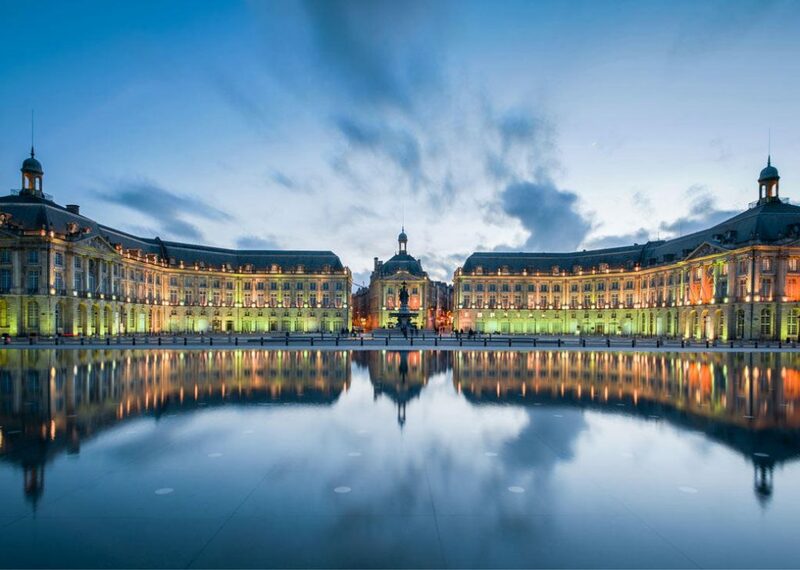 The vintage mansions, the historical churches, the lively nightlife, are a handful of things to do in Bordeaux France. Bordeaux is a picture-perfect city, a great place to enjoy the sunset with some special in your life. Being the second-largest city of France, the Marseille is flooded with thousands & thousands of local and foreign tourist each year. The top things to do in Marseille France are ad follow- Marseille’s massive rectangular port, Basilique Notre-Dame de la Garde monument, Calanques National Park, Musée d’Histoire de Marseille, and the list is just about endless. 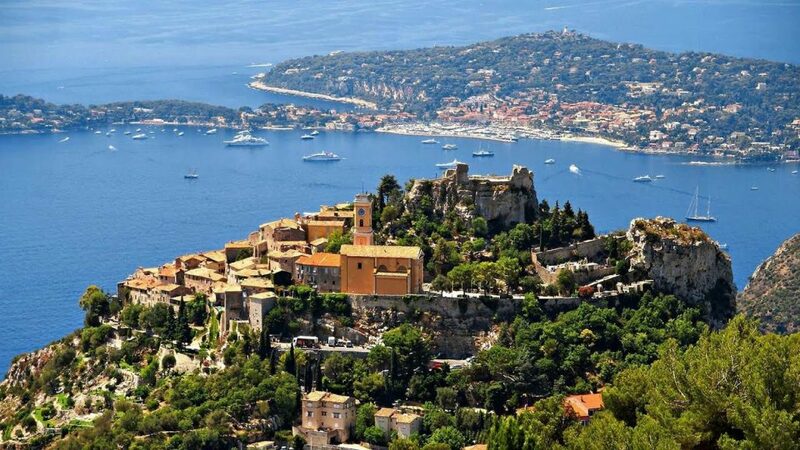 French Riviera, on the Mediterranean coast of France, is a fantastic tourist place, celebrated for its scenic natural beauty, presents unparalleled vacation retreats in entire Europe. This glamorous place is host to the Cannes Film Festival. Another France tourist spot listed in the UNESCO heritage site, Arles is a vintage city that put on display the rich, illustrious history of the French people. Antibes is a gem of France, charming resort town situated between the Cannes and Nice on the Mediterranean coast. Here, there are several fishing ports to have a special afternoon exploring the marine life of France. Beaujolais is a province with notable historical references in just about every French history book. 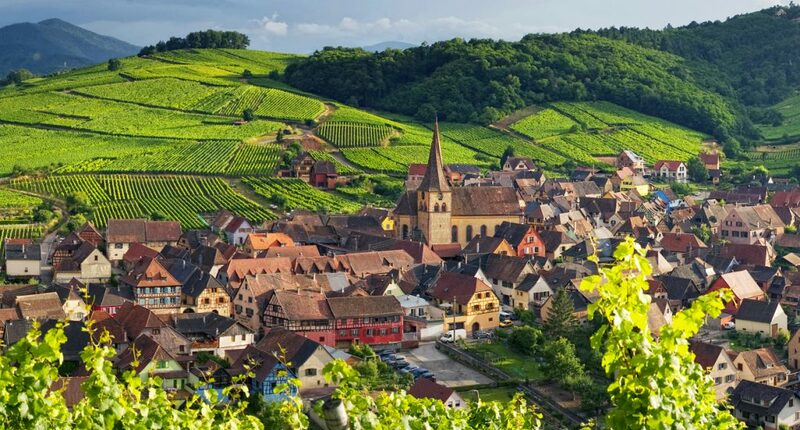 Beaujolais is framed by travelers from around the globe as a place to visit once in a life for its scenic nature views, stunning landscapes to go with breathtaking vineyards. It is a glam town situated in the Southeastern side of France; it is globally celebrated vacation spot to have a view of the magnificent hilltop views of the Mediterranean coast. A small town on the foothills of Southern Eastern France, Lourdes is a global pilgrimage site thanks to many religious spots throughout the town. This place is well-known for religious activities and carnival happening every now and then. Besides, the pilgrimage sites, the setting of the Lourdes is such you will feel like being on the seventh heaven. This lively city was established by the Geeks in 350BC, and then made Fashionable and glam by the European during the 19th century. The local streets markets are something travelers love to check out when on a vacation to France. The above twenty places are merely the beginning; there are so many things to do and see in France. So, what’s the wait, book your flight tickets and pack your bags for a once in a lifetime opportunity of holidaying in France. 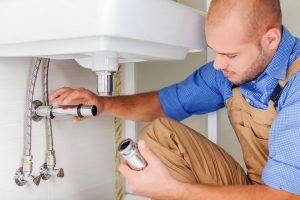 As a US or UK National, Do I Need a French Visa to Travel to France? For the citizens of the United States and the United Kingdom, they are free to enter the territory of France and stay there for up to three months without the need for any Visa. 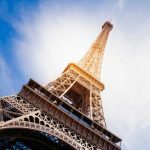 What Are The General Requirements’ To Apply For the French Visa? The Eiffel Tower is a mark of celebrating hundred years of the French revolution and birth of democracy. Eiffel Tower was inaugurated in the year 1889 during the World Fair.